Explore all of Royal Oak's available listings! Click on SEARCH to customize your personal search. Then, call me. I'm always happy to help. 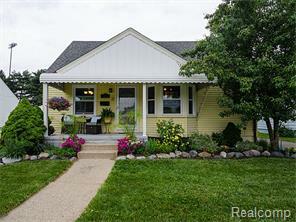 Royal Oak has cute & quirky bungalows and a lot more! Royal Oak is a wonderful community. Great schools. Restaurants galore. It's a walkable, rideable place with a terrific downtown. There are old homes & new homes. New build that look like old, but with all the wonderful goodies we love from HGTV from hardwood floors to granite and open concept. It seems like nobody wants walls anymore. How DO these homes stay up? Call me. I have reliable, trust worthy, honest lenders to refer you to. Explore Royal Oak available listings!